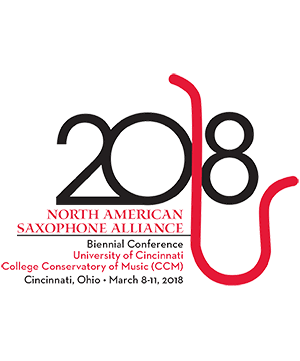 Bio: Dr. Kevin Norton earned his DMA in saxophone at the University of Cincinnati’s College-Conservatory of Music under Dr. James Bunte. He is currently a private instructor in Cincinnati, primarily at the Cincinnati Academy of Performing Arts and the School for Creative and Performing Arts. 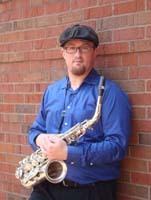 He previously studied at Morehead State University in Morehead, Kentucky under Dr. Nathan Nabb and Prof. Eugene Norden, earning a Bachelor’s degree in Music Education and a Master of Music in saxophone performance. He has performed at numerous events held by the North American Saxophone Alliance (NASA) including the national conferences held in 2008, 2010, 2012 and 2014. Furthermore, he performed at the United States Navy Band’s International Saxophone Symposium in 2011, 2015, 2016 and 2017. In addition, Kevin has actively premiered several new works for saxophone. He was most recently part of a consortium for composer Matthew Browne's alto saxophone concerto Alcoholic Dissertations. Jennifer Grantham saxophone undefined . . .